MaPSA PDO Envisions sustained partnerships among people and organizations as channels of blessings to benefit the community and society at large. MaPSA PDO believes that every person has the right to live a dignified life. With the challenges faced by society today in situations like material and spiritual poverty, less access to education and facilities and dysfunctions in families and communities- PDO commits to help uplift the dignity of life thru education, values formation, human and professional development, infrastructure and community development and spiritual formation. We commit to this mission to work with the Church promote social transformation. Help young men with calling to the priesthood and assist them to get started on their vocation; their desire to deepen their prayer and spiritual life, and a desire to live with others who share their faith and values shall merit support from this office. Support parochial schools’ deserving individuals by providing them funds and financial guidance because they deserve access to the tools necessary to pursue higher education. Help develop innovative educational programs that shall provide excellent and productive learning environments. Strengthen and enhance the knowledge, skills and abilities of employees by providing them training for improved performance management and career development. Respond to the needs of parochial schools to build new facilities that shall enhance learning. Provide nutritious food for undernourished children and improve their health. Set an annual training program that shall enable the concerned to respond adequately and competently to emergencies. Develop youth spiritually, morally, mentally and physically by providing funds and/or securing sponsorships for the acquisition of sports equipment. Promote the visual and performing arts and continuing education services offered by local cultural and educational institutions. Help promote the equitable distribution of resources and opportunities, especially to people wrongfully labelled as irrelevant. Help the parochial schools promote the preservation of the environment. To raise awareness among urban poor groups of the need to be empowered through livelihood programs for uplifting their lives. 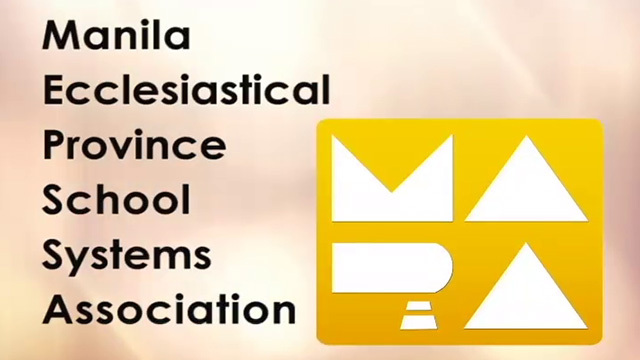 ©2018 Manila Ecclesiastical Province School Systems Association, Incorporated. All Rights Reserved.